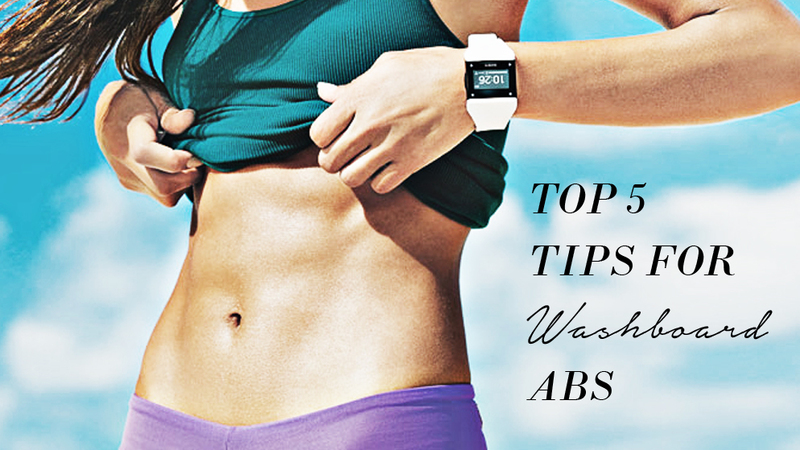 5 Tips for Washboard Abs! You don’t want a six pack but you do want to flatten your tummy before hitting the beach this summer? We get it! If you have been obsessing over your mid section for years and are willing to work at it to see results, try a few of our hot tips for gaining that enviable tummy! Seated Rotations: Sitting up, bend knees and legs together and place arms across the chest or in front of you. Tuck the tailbone and roll back slightly as you alternate rotating the spine right and left. Unfortunately there is no avoiding it; you need to look at your diet and digestion. You can do all the crunches in the world but they can’t push their way through a layer of fat. Unfortunately for a lot of people the abdominals are a place where fat depends to accumulate. Thankfully, without doing any abdominal exercises you can look much leaner by standing straight. With your shoulders back your abs pull themselves in! Long term improving your posture will assist with building core strength. Slow and steady wins the race! Unfortunately your illusive abs are not going to appear over night, strive for week by week progress not perfection.